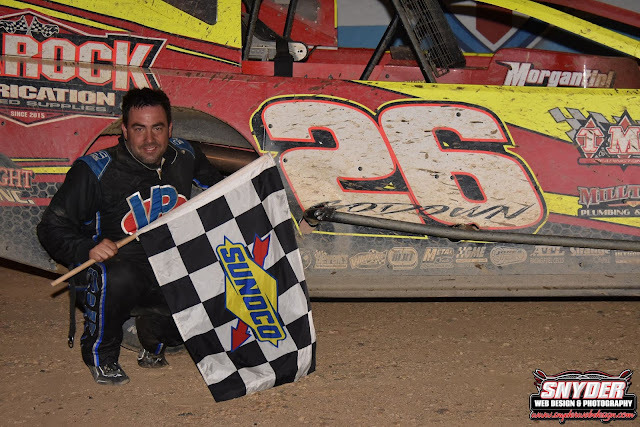 The Mattera’s Electrical Modifieds were won by Ryan Godown followed by Shawn Fitzpatrick, Craig VonDohren, Jeff Strunk, Duane Howard, Andy Burkhart, Kevin Beach, Frank Yankowski, Mike Lisowski, Ryan Krachun, Heath Metzger, Jimmy Reppert, Briggs Danner, Jim Bobbitt and Bobby Gunther Walsh. Did not finish were Todd Singley, Kris Graver, Grant Hilfiger, Scott Albert and Billy Lasko. Did not start was Frank Porreca. 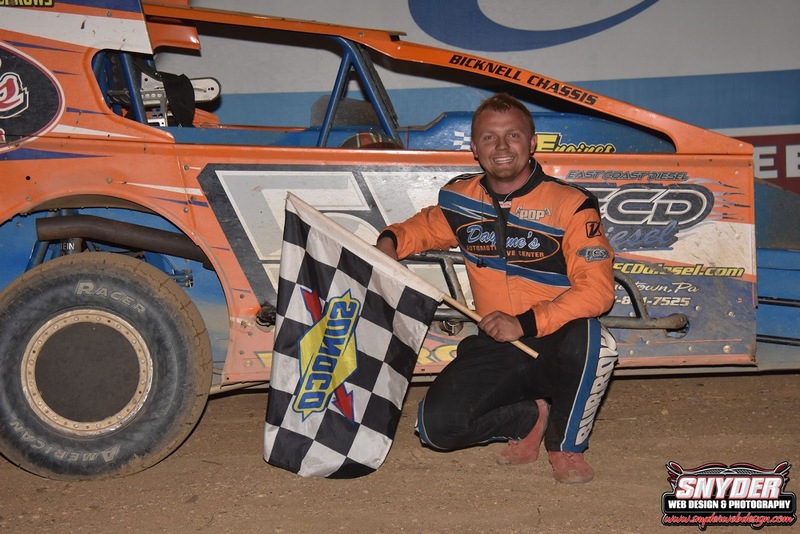 The modified heats were won by Andy Burkhart and Briggs Danner. The U.S.S. 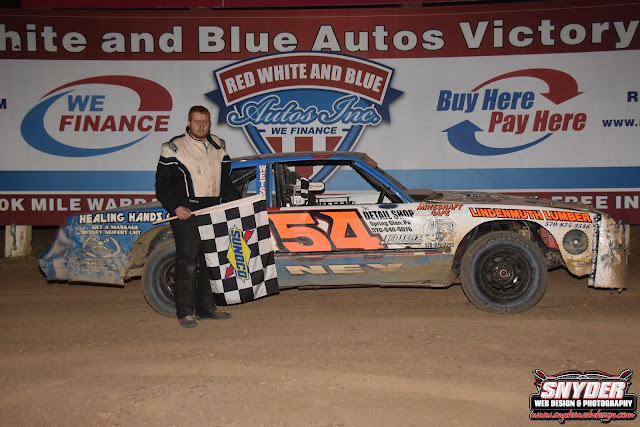 Achey Sportsman division was won by Michael Burrows followed by Doug Hendricks, Alex Yankowski, Wayne Witmer, Tyler Reber, Dakota Kohler, Kevin Brady, Ed Mrochko, Mike Schneck, TJ Fitzpatrick, Dave Dissinger, Daryl Dissinger and Glenn Rowan. Did not finish were Shawn Light, Nathan Mohr, Brandon Auman, Dylan Smith, Craig Whitmoyer, Ken Eckert Jr. and Logen Schultz. Did not start were Nate Klinger and Chris Brennan. The sportsman heats were won by Tyler Reber and Doug Hendricks. The Savage 61 Road Runner feature was won by Kris Ney followed by Mike Reichert, Chris Holland, Terry Kramer, Shawn Mulhall, Fred Everly, Jim Kost, Matt Ney, Shon Elk and Cory Baver. Did not finish were Cory Lindenmuth and Jon Schlauch. The street stock heats were won by Matt Ney and Kris Ney. 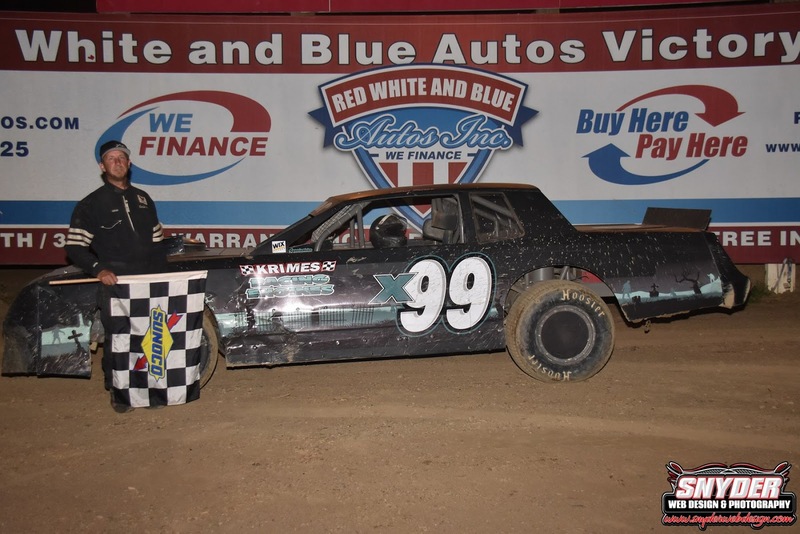 The No Sweat Service Group Street Stocks was won by Chris Heller, Jesse Krasnitsky, Mike Radocha and Dean Hine. Did not start was Joey Brennan. The heat race was won by Jesse Krasnitsky.